Induction Bending is a controlled means of bending pipes through the application of local heating using high frequency induced electrical power. to create a narrow, circumferential, heated band around the material to be bent. 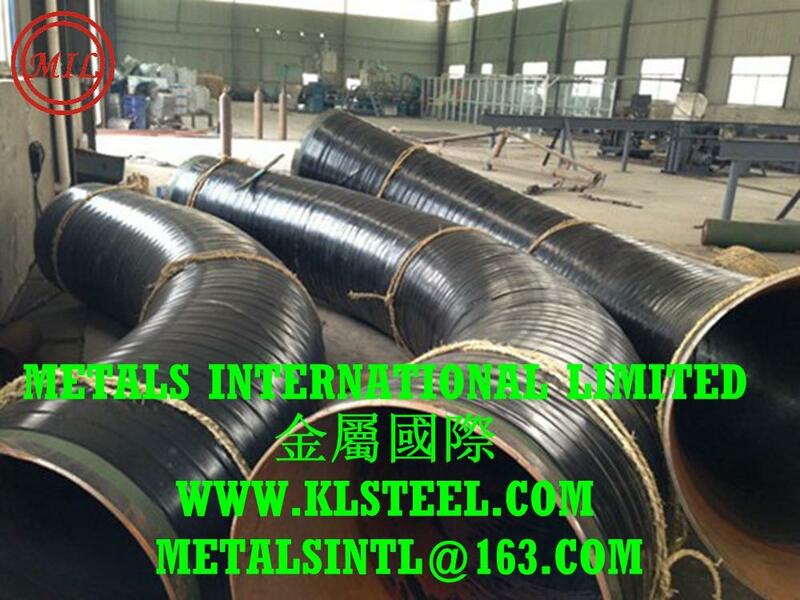 When the appropriate temperature is reached, the material is pushed forward through the coil at a consistent speed and temperature while a bending moment is applied. After the material passes through the coil, it may be cooled (quenched) by forced air or water spray, or it may be allowed to cool naturally at ambient temperatures. The induction pipe bending process uses induction heating to produce highly accurate bends. The quality of induction bends is superior to the elbow fitting. Hydro burst tests show that spools with induction bends fail in the straight pipe and not in the bend, whereas in comparable elbow-based systems the elbow (inside radius) is always the first to burst. Stress calculations confirm this. 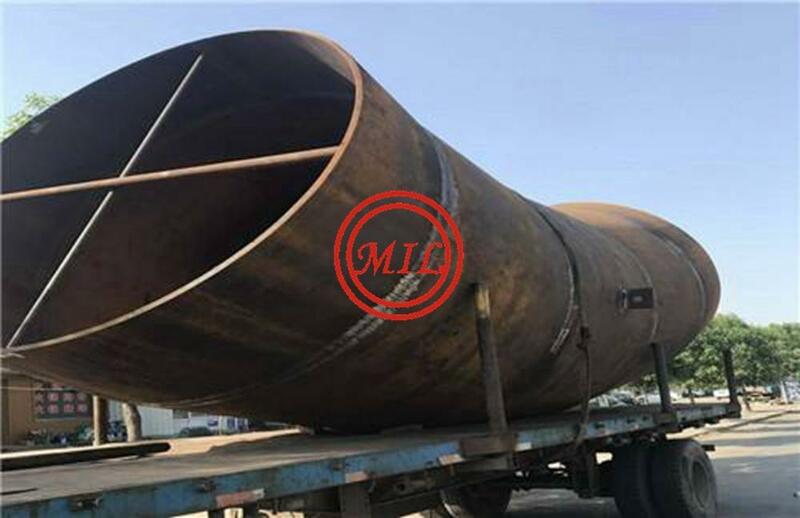 The natural tendency to have a thicker inside wall thus proves to be advantageous and ensures that the bend exceeds the strength of the straight pipe. Many companies have exclusively chosen equipment for their induction bending. Our Bending is capable of providing the following tests and more. 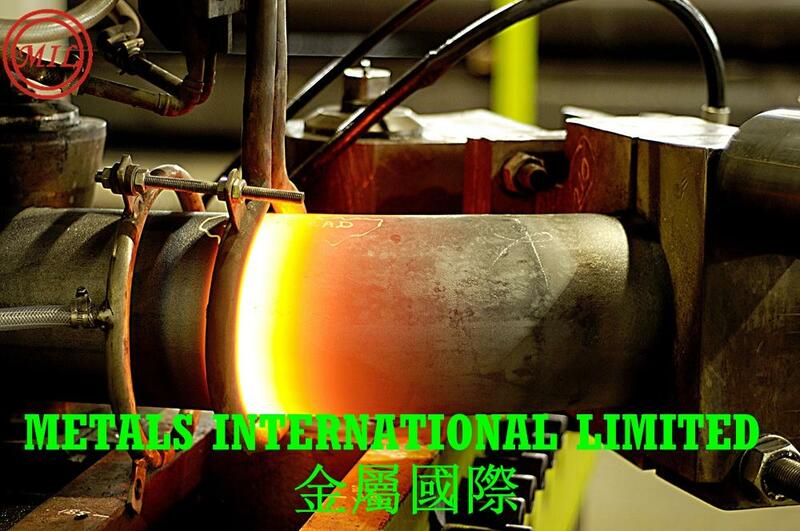 X-Ray, Heat Treatment, Stress Relieve, Liquid Penetrate Testing, Brinel Hardness Testing, Magniflux Testing, Ultra-Sonic Testing, Magnetic Particle Testing, PMI (Positive Material Identification), Elemental Analyzer, Hydro Test. We have close links with several other ILAC accredited laboratories and as such can sub-contract testing outside of our accreditation e.g. elevated temperature tensile testing, chemical analysis, HIC and SSCC corrosion tests etc. To ensure compliance with specification, many of our bends undergo non-destructive testing. This can be as simple as a basic minimum wall thickness check or can involve a series of surveys using various means of fault detection. We provides an in-house service through highly experienced operators based within our site and qualified to ASNT / PCN Level II (with procedures externally approved to Level III). This arrangement allows the flexibility we need to ensure our process is as efficient as possible. A feature of induction bending pipework is that due to the heat input allied to the stresses formed during process, mechanical properties may be altered – sometimes significantly. Applied to stainless & duplex steels such as UNS S31803 & UNS S32760, the material is held at an elevated temperature for the required time before rapid cooling in either air or water. 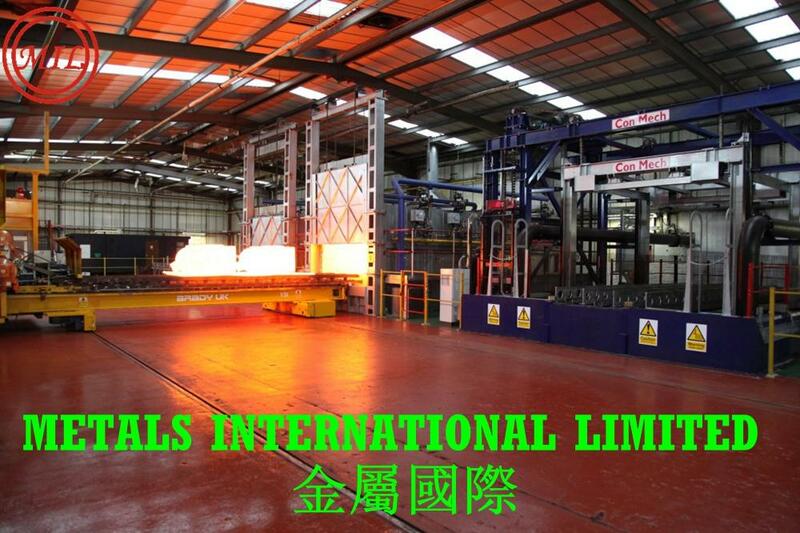 No secondary heat treatment is usually required with this process. ASME Stamps Authorisations: U, U2, S, PP. 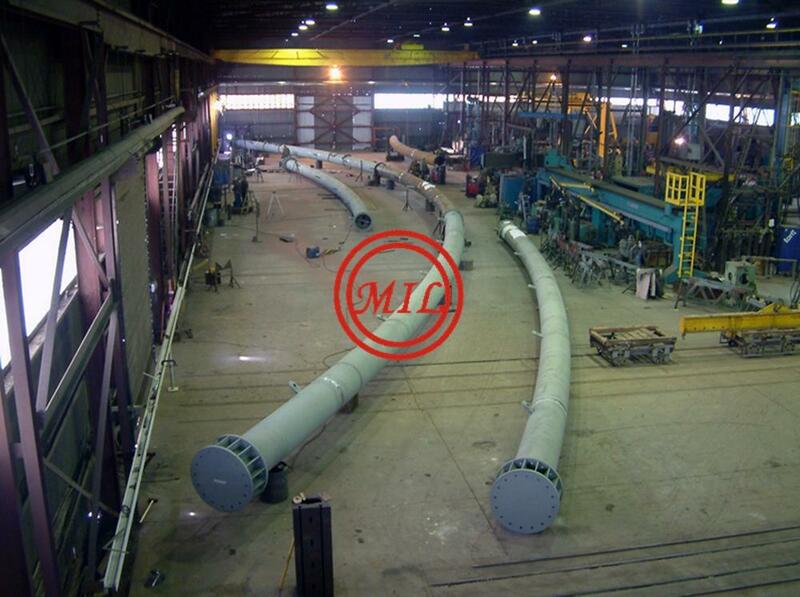 TUV according to AD-MERKBLATT HPO/TRD 201 and to GosGorTekhNadzor, GOST R.
EN 14870-1:2004, Petroleum and natural gas industries - Induction bends, fittings and flanges for pipeline transportation systems - Part 1: Induction bends (ISO 15590-1:2001 modified). 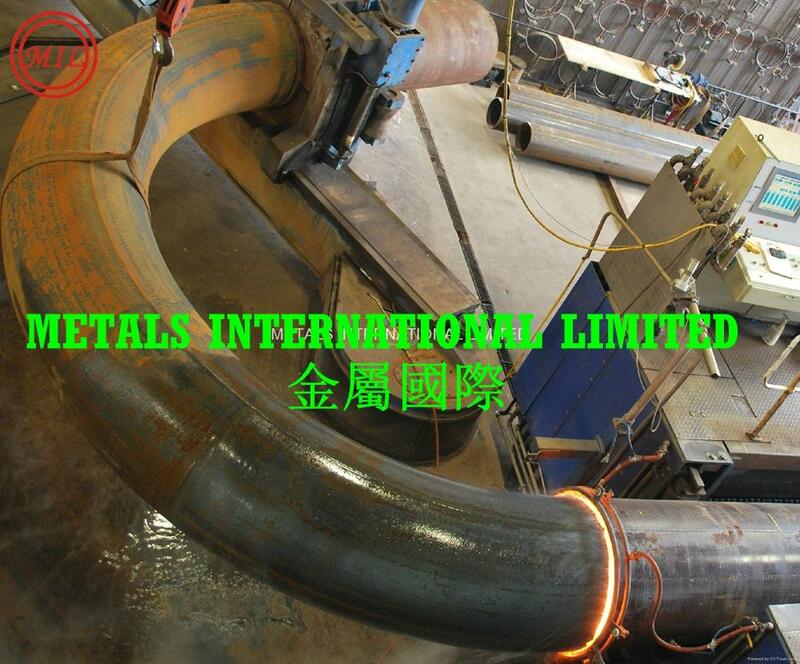 Induction bending uses inductors to locally heat steel by induction. This results in a narrow heat band in the shape to be bent. The shape is firmly held by a clamp at the desired radius, which is mounted on a free pivoting arm. The shape is is pushed through the inductor by an accurate drive system which causes the hot section to form the bend at the set radius. The bent part is then cooled by water, forced or still air to fix the bend shape. The bending process is continuous and highly automated from start to finish. •Cost efficiency. Straight material is less costly than standard components (e.g. elbows) and bends can be produced faster than standard components can be welded. •Elbows can often be replaced by larger radius bends, reducing friction, wear and required pump capacity. •Induction bending reduces the number of welds in a system. ◦No welds at the critical points thanks to the tangents. ◦Less non-destructive testing, saving cost. •Stock of elbows and standard bends can be greatly reduced. 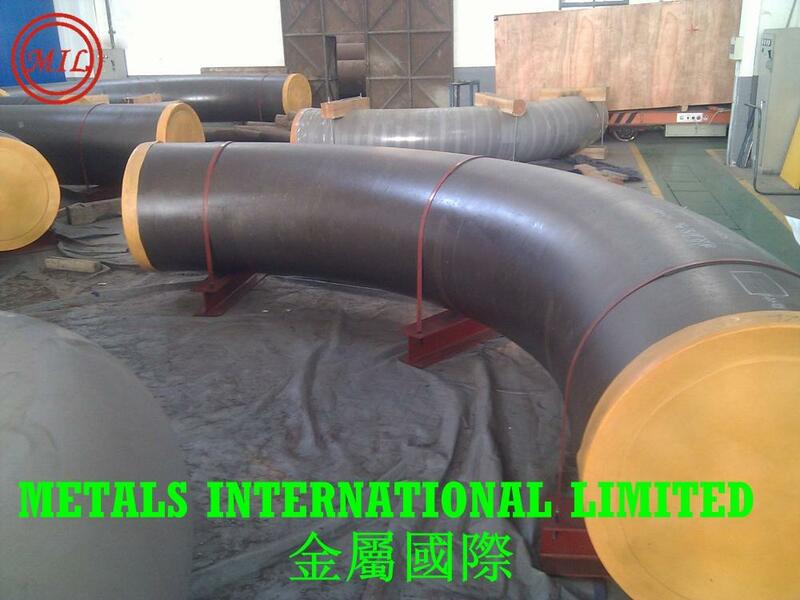 •Bends can be made from the same base material as the straight pipe. •Induction bending is a clean process. No lubricants necessary. ◾Shell ES 170, ES 247 and the various DEP specifications etc. Critical piping is designed with very special care and the material selected for such piping is subjected to withstand high pressure and high temperature. •Refinery & Petrochemicals: High temperature and high pressure piping associated with Hydrocracker, Hydrogen, FCCU, CRU Plant etc. These Piping often expand due to high temperature, thus need to have built in flexibility. 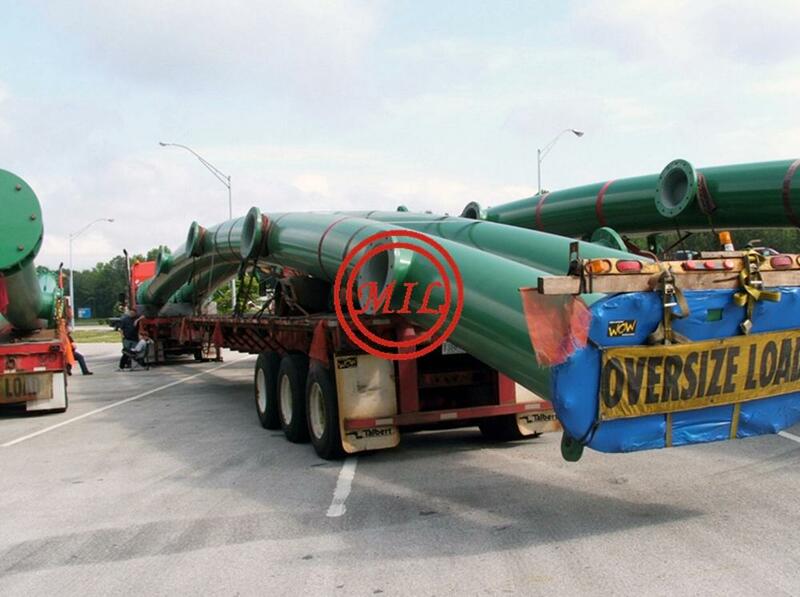 Such piping systems are governed by guidelines and mandatory requirements. Critical Piping Systems manufactured by DEE are compliant with ANSI/ASME B31.1 – Power Piping and ANSI/ASME B31.3 – Process Piping Code, Indian Boiler Regulation (IBR) and other industrial standards. We offer Critical Piping in the various grades of Carbon Steel, Alloy Steel & Stainless Steel with diameter up to 100” (2540 mm) and thickness up to 150 mm.